This is me. I like to go gory for halloween, but still wanted to look at least a little cute, so I went with a pin-up zombie. 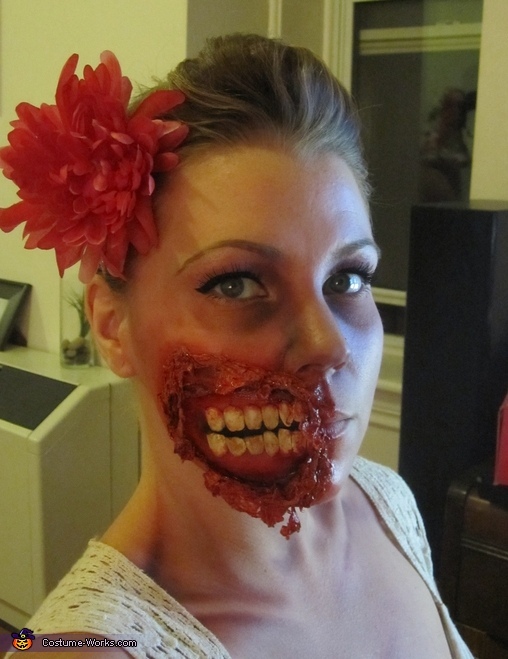 The teeth are made from filed down fake nails, and the wound is made from liquid latex. Mac eyeshadow was used for the rest of the look.